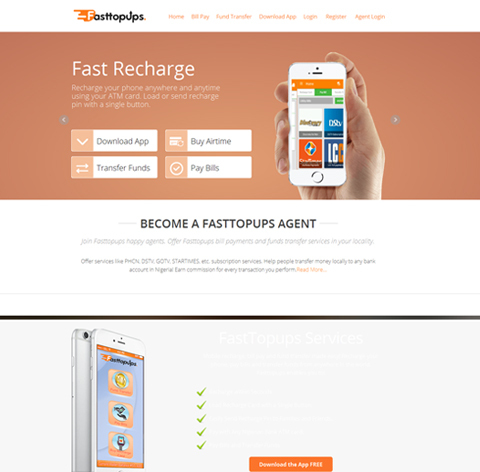 Fasttopups.com is an interactive service platform, offer a free mobile recharge Fasttopups (FTU) app which enables users to buy recharge card, pay bills online and transfer funds from the account to any Nigerian bank account. 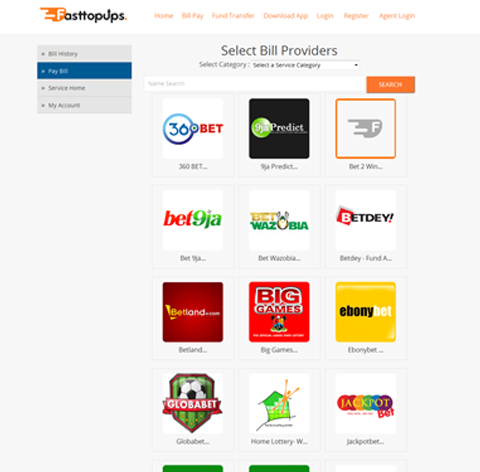 App also allows any user to register as a fasttopups agent, and offer PHCN, DSTV, GOTV, STARTIMES, etc. subscription services to users. 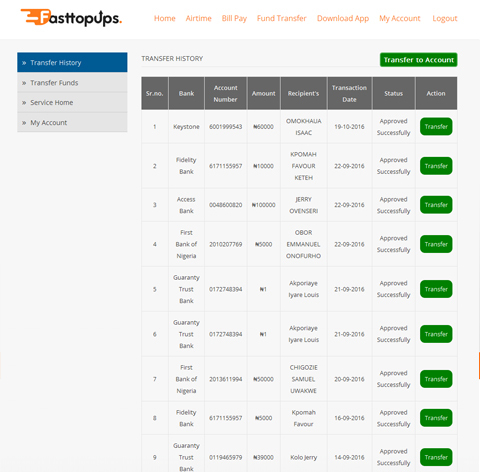 As well as help people transfer money locally to any bank account in Nigeria and earn commission for every transaction user perform. 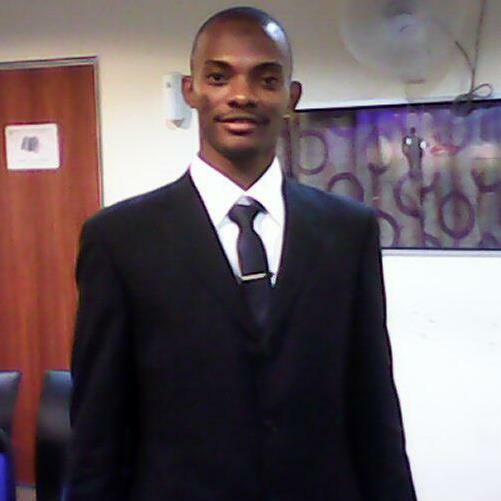 Flexsin developed the interactive service platform; it offers a free mobile recharge app which enables users to recharge. An app offers secure transaction to its users, they can set their unique account pin for making any transactions as well it allow an administrator to handle the users/agents sales management, for instance, daily/monthly/yearly sales tracking and other website settings. 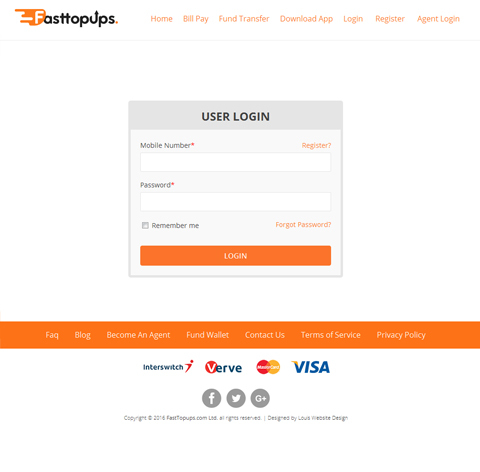 A user/agent can share his referral code and invite other user/agent to join the fasttopups using his referral code and earn credit on his first transaction. 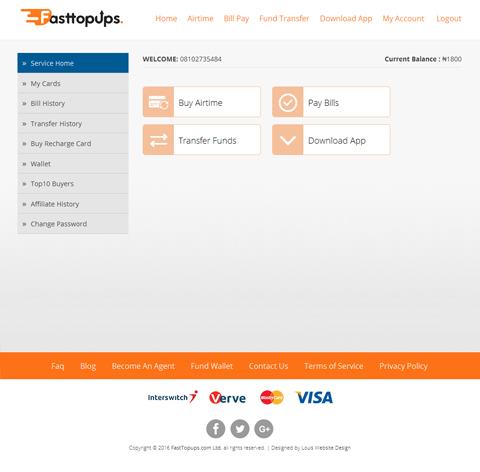 Using separate dashboards for users/agents, they can track their purchase history and wallet amount. 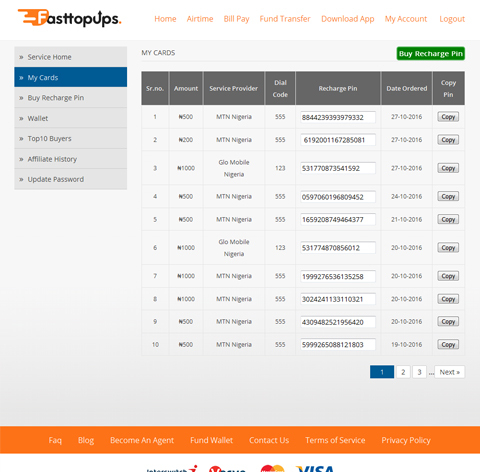 Buy recharge card (s) for as many people as the user want using a single fasttopups.com account. Using the information gathered from the requirement analysis phase, we put together a plan for the development of web portal like technology, CMS integration, and API for instant fund transfer and bill payments, implementation of the queue system for the simultaneous access and transaction by multiple users.